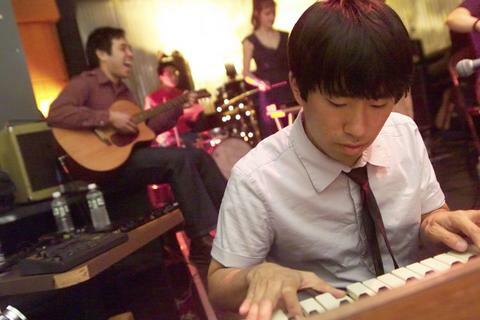 In 2002, the duo split up, but Dan Lee continued to work under the name Scrabbel. Highly influenced by all things '65 to '75, Dan drew upon his love for bands like the Beatles, Love, the Who, the Zombies, Bowie, and T Rex to create the follow up. He took time off in 2003 to become the keyboard player for the Aislers Set, and toured extensively around the US and Europe. In between tours, Dan worked hard writing new songs and building a new live band to perform as Scrabbel. The new recordings sought the help of guest musicians: Alicia Vanden Heuval (Aislers Set), Pete Nguyen (Total Shutdown), and Gary Olson (Ladybug Transistor). 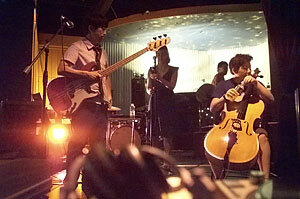 But the most important change was the addition of Hellen Jo, whose cello is featured throughout the CD. Released by Three Ring Records in 2005, the follow up CD, titled 1909, is leaps and bounds beyond the first record. The music embodies new arrangements to accompany the standard guitar, bass, and drums lineup. There are 808 beats, clarinet, and of course, cello and violin to add a unique layer of texture to these songs. Every song promises to be different from the last, but still manages to be a cohesive collection of songs that make up the new album, 1909.